When following any new health/fitness program, the biggest challenge is always going to be diet. Training is rarely what causes people to quit – the workouts, the gym, having a great sweat session after a stressful day – that’s the fun part. If someone is going to give up on their regimen, it’s almost always due to the diet – either it was too strict on menu options, didn’t have enough calories to fuel daily activities, or the foods were too bland and tasteless to make it appealing. There are different opinions on this, but I’ve always felt that the client should take some accountability for making their diet somewhat enjoyable. Your diet can be as interesting or as boring as you choose to make it. If you aren’t willing to invest any time into meal prep or even try to be a little creative with your meals, then you shouldn’t be allowed to complain about your diet. It doesn’t take much to make healthy food taste great and something you look forward to eating every day. Here are 15 different ways to hack your healthy food so it tastes great. You could be just a few shakes away from enhancing your healthy meals with some of your all-time favorite flavors with some of the latest calorie-free seasonings available. Things like chipotle, gingerbread cookie, pumpkin pie, bacon lovers, cheese, taco, Jamaican jerk, ranch and cheese flavors could all be a great addition to things like boring oats, bland egg whites or plain chicken breasts. These are often also salt-free for those watching sodium levels. Learn to pair your proteins and vegetables with the right herbs and spices to take your meals from average to truly spectacular. 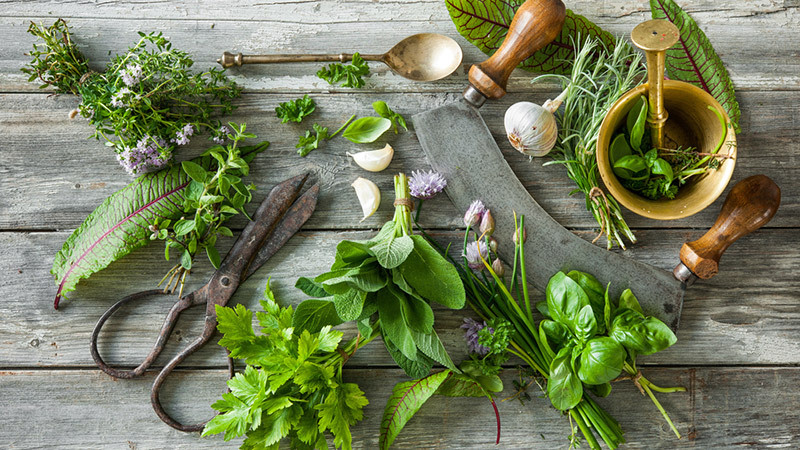 Some common healthy herbs and spices to experiment with are things like garlic, basil, cilantro, paprika, cayenne, oregano, ginger, allspice, cinnamon, pepper, rosemary, bay leaves, mint, coriander, thyme, saffron and turmeric. When creating a dish, quickly research which foods go best with which herbs and spices. Once you’ve narrowed down the pairs, then you can get creative with the meal! A great way to make your chicken, steak or fish taste even more flavorful and juicy is to marinade for 6 to 24 hours before cooking. The rich flavours of the healthy marinade become infused into the meat and work well to enhance flavour and even tenderness of the protein. 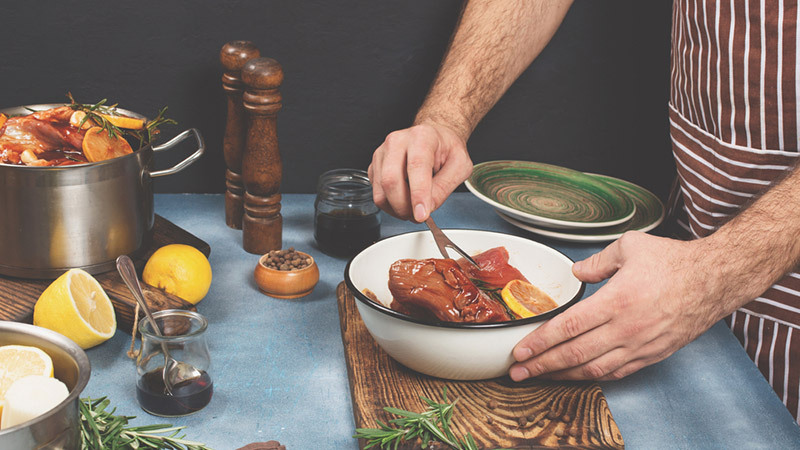 Some examples of healthier marinades you could use are lemon and lime juice, balsamic vinegar, teriyaki, soy sauce, wine, vinegar, Worcestershire sauce. I prefer combining a liquid component with a few different herbs and spices to make great-tasting complete marinade. Beef and chicken can be marinated for longer durations (12 to 24 hours) and most fish is great with about 6 hours of marinating time. Eat your veggies the way they were meant to be consumed – fresh! Sure, there’s nothing wrong with frozen when you’re in a pinch and need to save some time, but if taste is on your priority list, you’re generally better off going with fresh, locally farmed, in-season vegetables. You’re also going to get a slightly higher vitamin-and-mineral content with veggies that have harvested within a week of being on your plate, compared to something that’s been sitting around for months in a freezer. You can’t expect your food to taste restaurant quality if you’re going with the cheapest cuts of meat and seafood at the grocery store. If you want exceptional taste, rich flavour and mouth-watering tenderness, don’t skimp out on quality. 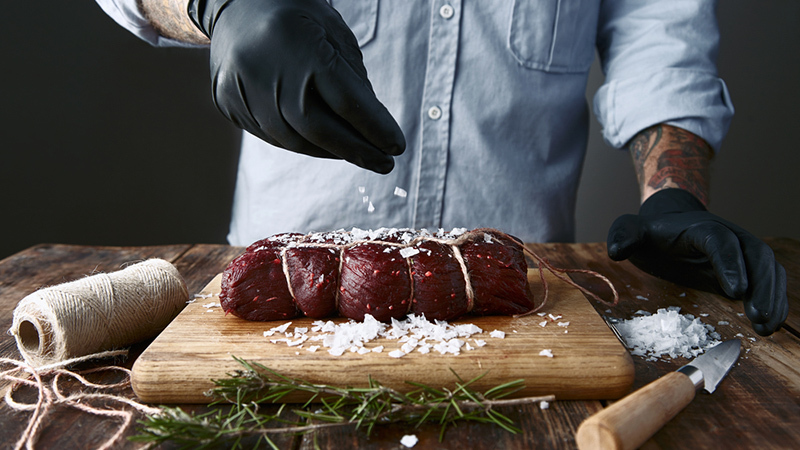 Go with fresh, not frozen, and know your cuts of meat to find the right balance of flavour, leanness and texture. There’s also something pretty special about a weekly visit to your local, family-owned butcher shop! Possibly one of the easiest ways to quickly add some flavor to your meals without adding many calories, sugar or fat is to top off your meals with a healthier condiment or sauce. Some of my favorites and those I recommend for clients are things like – salsa and pico de galo, hummus, soy sauce, mustards (various types including sweet, stone ground and Dijon), wasabi, tzatziki, white balsamic and hot sauces (wide variety of flavors). 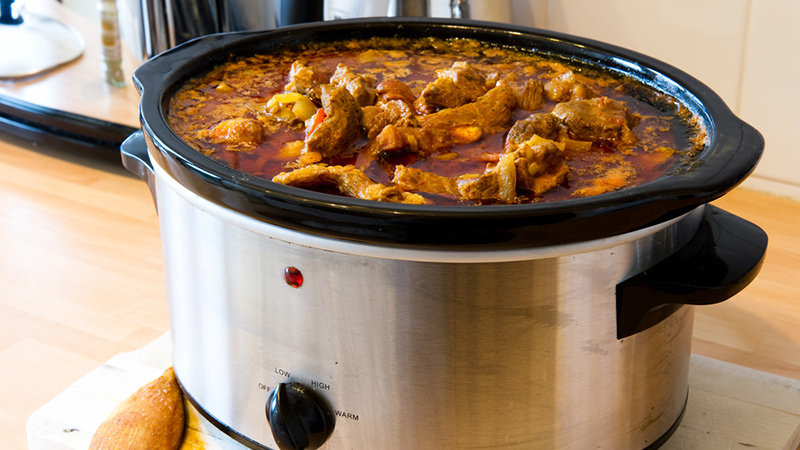 It should come as no surprise that typically the most convenient and fastest way to cook something, often creates the least amount of appeal in the taste department. Microwaving or quickly grilling something on your portable indoor grill are excellent for saving some time, but if you were to get into the habit of investing a little more time and effort into some different cooking methods, the payoff in flavour is exponential. 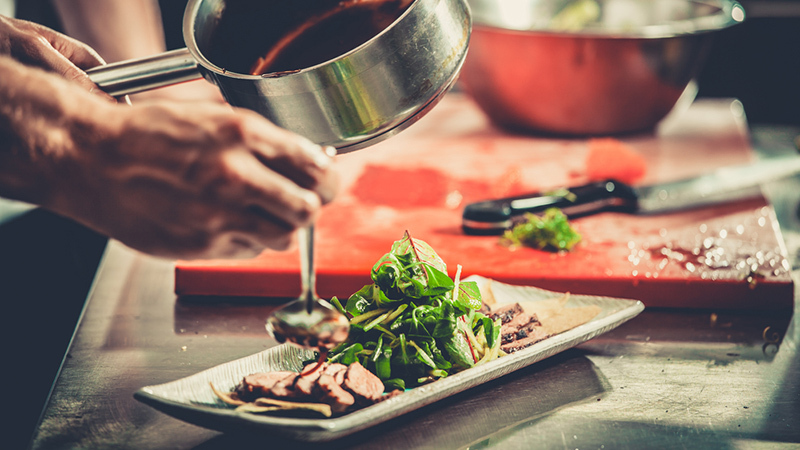 Things like indirect heat grilling, smoking, sauté, pan sear and slow cooker pot are all excellent alternative cooking methods that can enhance the flavor of many different foods. There are some combinations of food that go so well together that they tend to improve each other’s taste, for a perfectly balanced healthy meal for you. 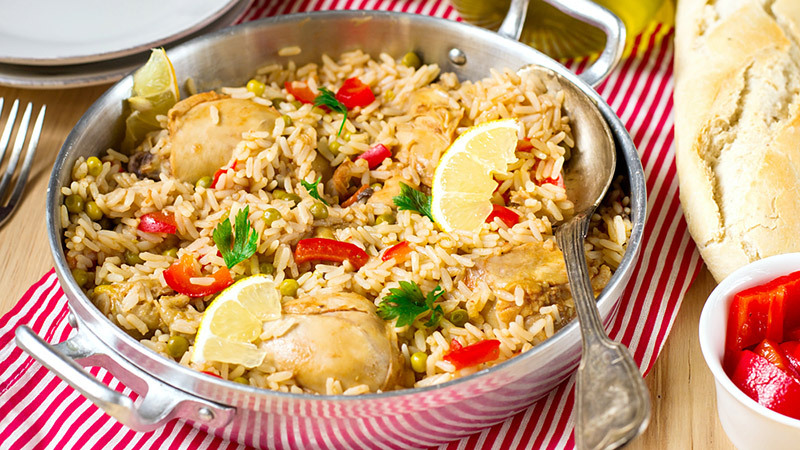 You can experiment with your own food combinations or try one of the classics such as – hard boiled eggs with a fresh salad, roasted potatoes with olive oil, rice with raisins, berries with oats or granola, garlic with fish, rosemary and steak, beans and rice, bell peppers with ground turkey, Greek yogurt with sweet potatoes. 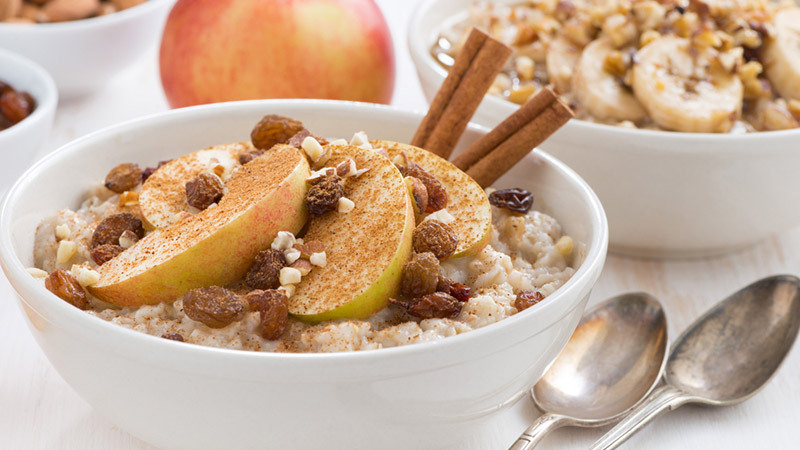 Got a bit of a sweet tooth but still want to keep the diet as healthy as possible? 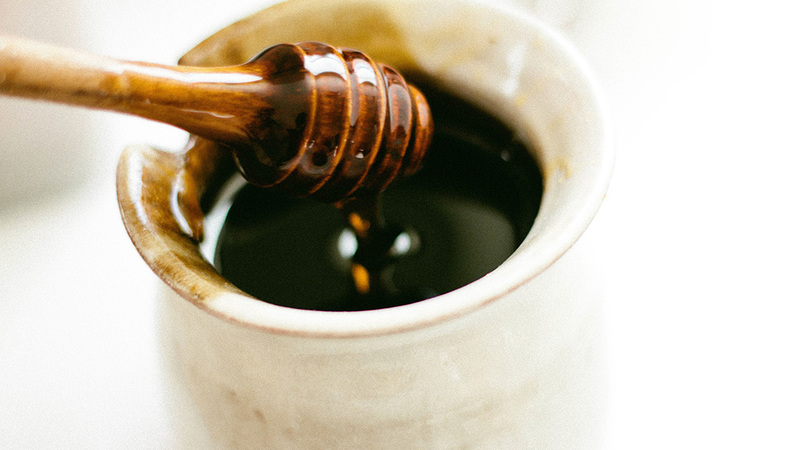 I’d recommend some of the lesser-evil natural sweeteners with your meals to dial up the sweetness factor for things like coffee, tea, quinoa, steel cut oats, plain yogurt and chia pudding. Your best alternatives to sugar would be: stevia drops, agave, raw organic honey, coconut sugar, blackstrap molasses, brown rice syrup. Use on an ‘as needed’ basis and in moderation. Having sweet tasting things with most of your meals will make sticking to a diet even more challenging. You don’t have to smother your food with calorically dense sauces to make things taste great. There are plenty of healthier sauces and food toppings that you can use to roast and slow cook your meats with that will produce an excellent tasting meal, without throwing off your macros. 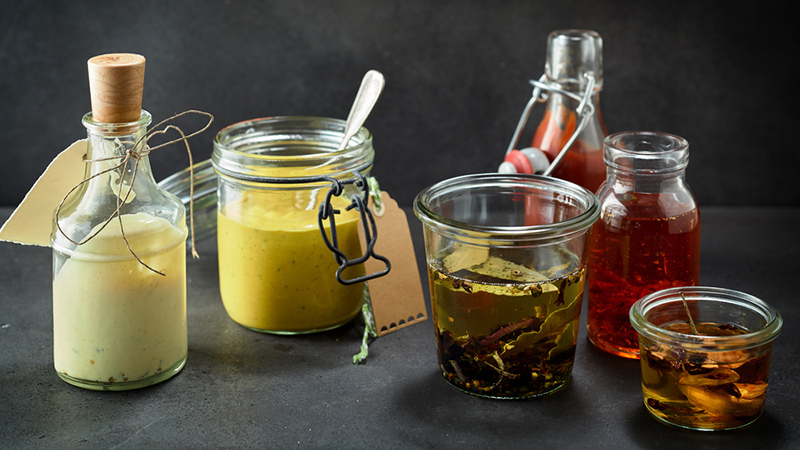 Try cooking with things like: tahini, salsa, soy or tamari, pesto, chutney, hoisin, peanut satay, mustard, vinaigrettes, Worcestershire, Tabasco and liquid smoke. Another way to infuse some extra flavor into your meals is with healthy fats. We try to avoid overconsumption of fats but trying to go too low on dietary fats can also cause problems that will negatively affect your health as well as your weight loss goals. It’s generally a great idea to keep some healthy fats in your diet and what better way then to occasionally cook your foods with some healthier fats such as – virgin coconut oil, grass-fed butter or ghee, avocado oil and grapeseed oil. 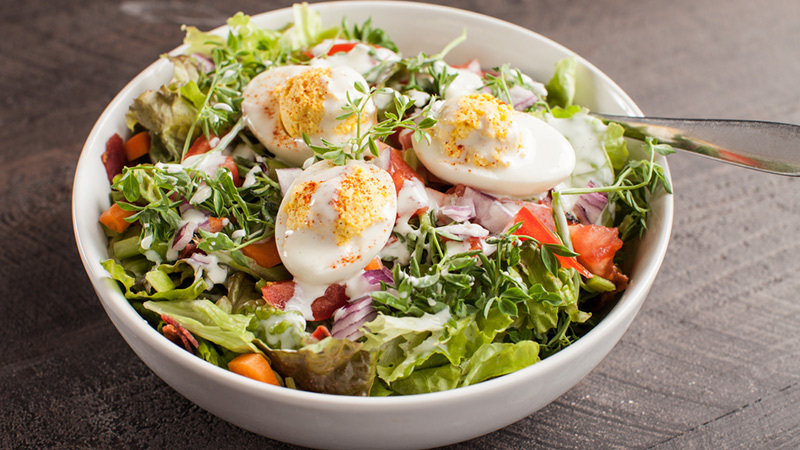 If looking to top salads or veggies with a light tasting healthy oil, go with extra virgin olive oil or flaxseed oil. There are an endless number of things you can fry, bake or roll with your favorite flavor of whey protein. 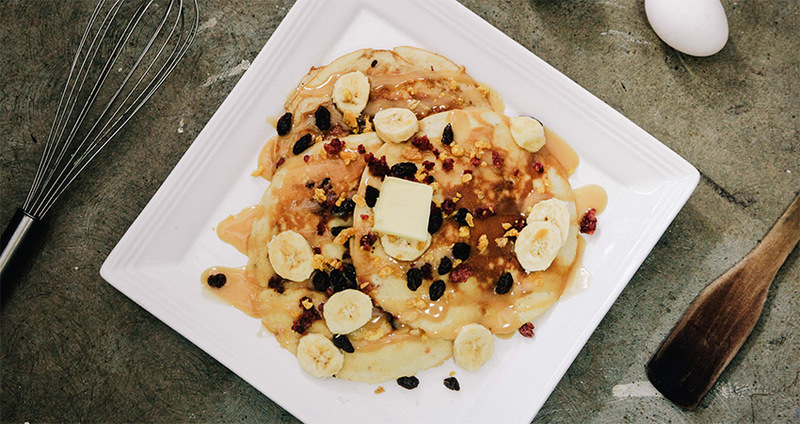 Some of the more common healthier creations made using whey protein as a key ingredient are – protein pancakes, protein balls, brownies, protein oatmeal, ice cream, mousse and muffins. Tip – when baking with whey protein, always use something to prevent any drying out. Things like mashed banana, dates, cottage cheese, pumpkin or unsweetened applesauce all work well to keep the moisture locked in. 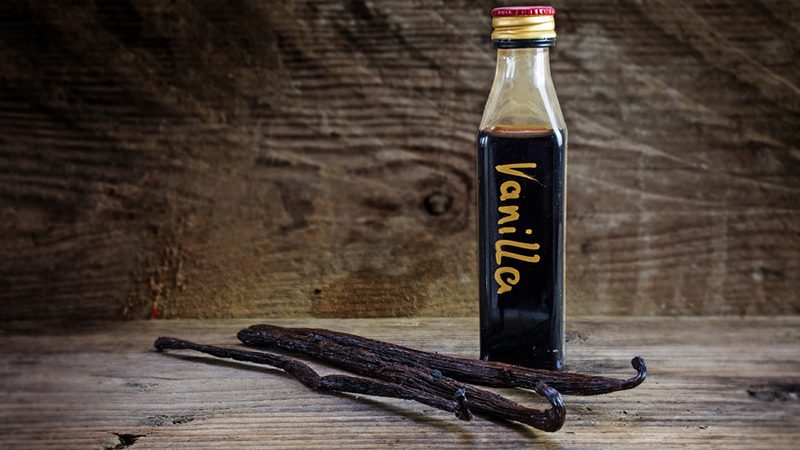 Want the flavour of things like butter, maple, pumpkin pie, vanilla, chocolate or coffee without deviating from your diet? 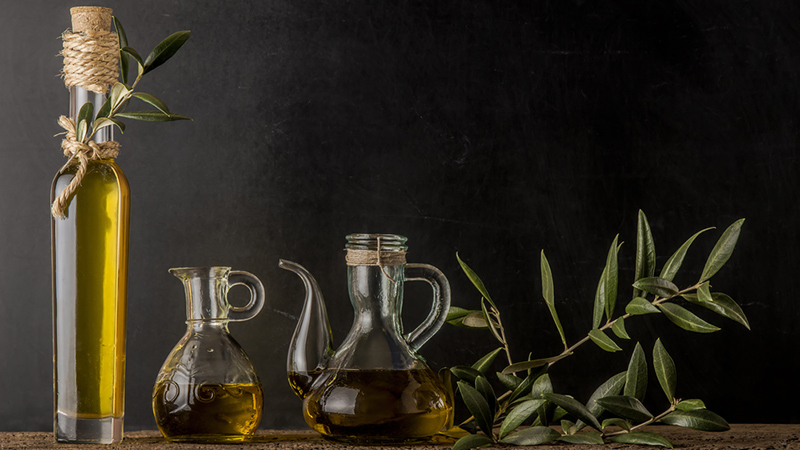 Try adding just a few concentrated drops of an extract or flavoring oil that pairs well with the dish you’re looking to create. These work great for some of your healthy baking creations where you aren’t looking to add extra calories from fats or sugars. One tough food item to give up for many people is cheese. For my body transformation clients, I’ve always said it’s better not to give up your favourite foods, but change the way you eat them – consume in moderation and find slightly healthier versions of them. Cheese is a great example of this. 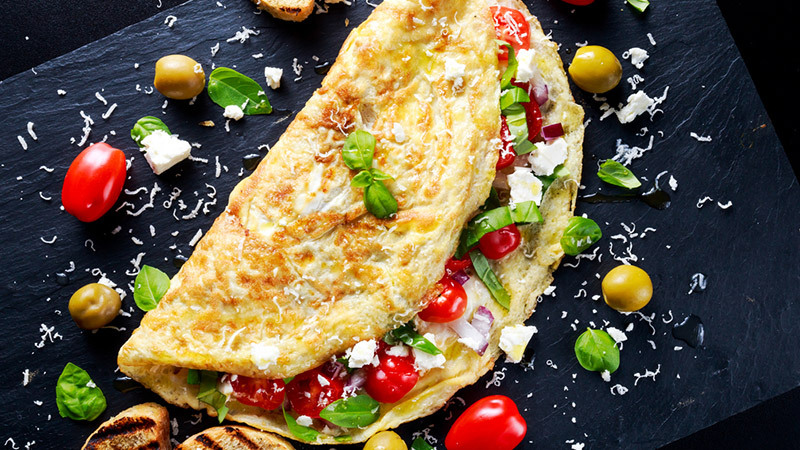 Sprinkle a little low fat cheddar cheese or herb-infused feta on your morning egg white scramble and breakfast could become your favourite meal of the day. I’m sure there are even more ideas out there to help make healthy food taste great. 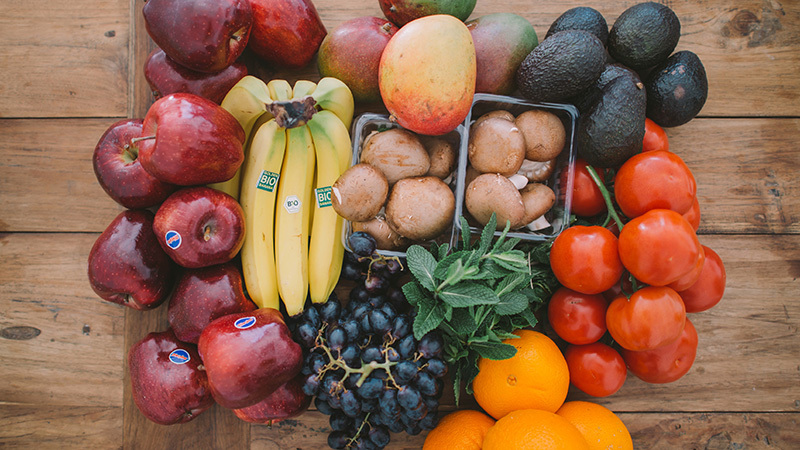 The key message here is if you are willing to put in a little effort, you can enjoy great tasting healthy foods that don’t even feel like you’re on a “diet” and you can follow for the long term.